To celebrate the release of the Willy Wonka pinball machine by Jersey Jack Pinball, Pintastic 2019 will bring in three actors from the 1971 movie upon which the game is based! 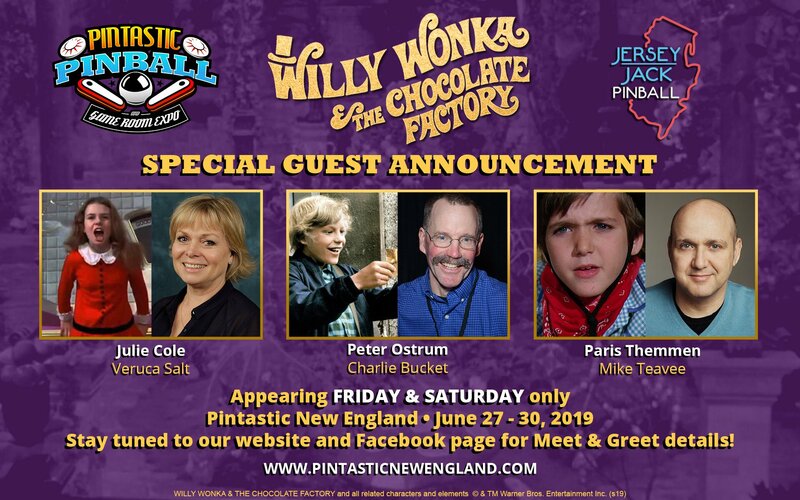 Peter Ostrum (Charlie), Julie Dawn Cole (Veruca Salt), and Paris Themmen (Mike Teevee) will be live at Pintastic for the whole weekend, where they will autograph Wonka-related merchandise or pose for pictures (fees apply). There will be a panel discussion with the three as part of Pintastic’s seminar program. There will be several Willy Wonka pinball machines at the show; you can buy one and take it home! + a Pintastic drinking glass with licensed Willy Wonka art. There are 50 CE packages for Friday’s meet-and-greet and 50 for Saturday’s meet-and-greet. Buy the CE package through the same web page where you buy admissions to the Pintastic Expo. Information about photo-ops: the celebrities get a fee for each posed picture you take with one of them. Outside of the meet-and-greet sessions for CE package owners, you can only take a photo with one at a time. For the CE package, we have arranged a special deal for one photo with the CE package owner and all three at once, which is included in the price of the CE package. Legal stuff: Willy Wonka and the Chocolate Factory and all related characters and elements (c) and TM Warner Bros. Entertainment. 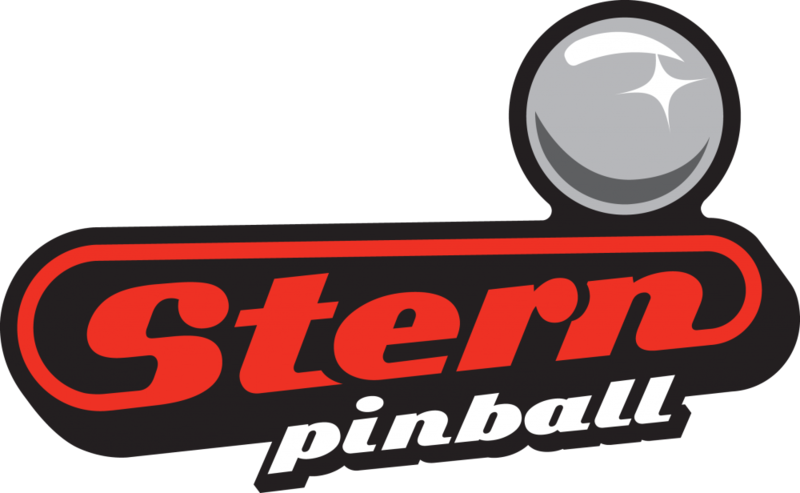 Check out more about the Pintastic Pinball & Game Room Expo here!! The NUMBER ONE ranked competitive pinball player in the world is starting a podcast about competitive pinball! 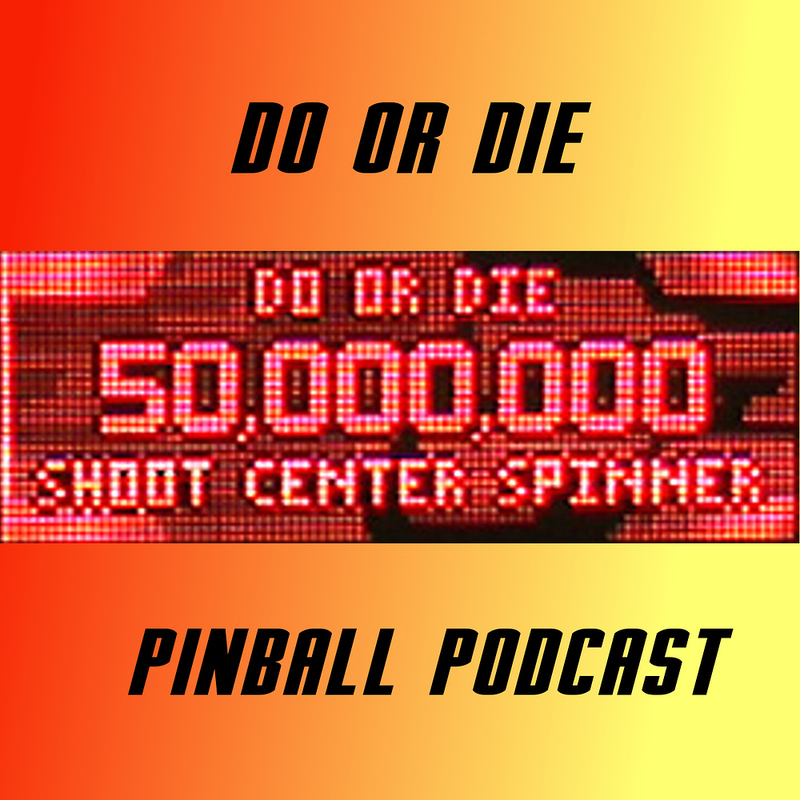 Check out this new podcast by Raymond Davidson called: Do or Die: A Competitive Pinball Podcast! Path of Play is the organization that assists families living with autism and other special needs through the world of play! They just started up a YouTube newsletter – check it out and support this cause! 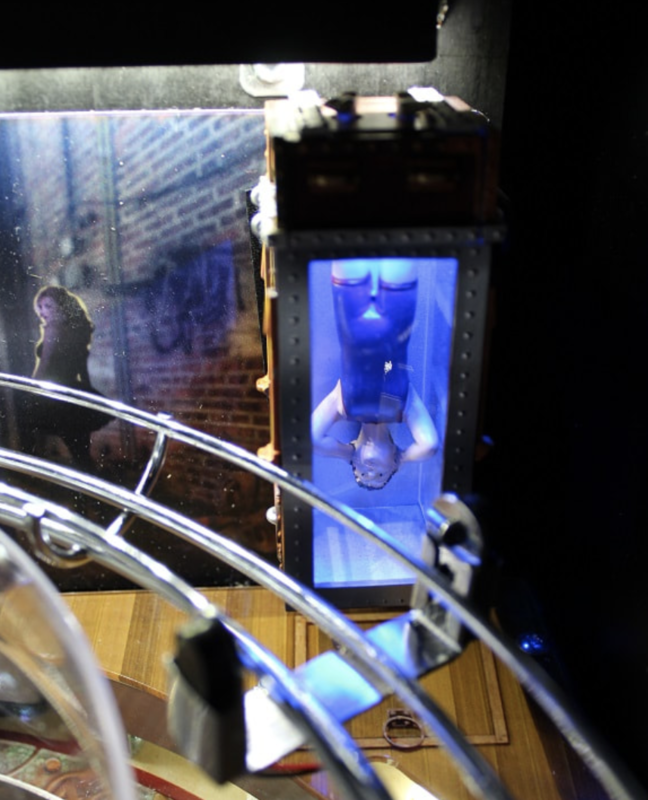 In what appears to be a first, American Pinball has added code to incorporate the (third party mod) Houdini Chinese 3D Water Torture Tank with Harry from Hooked On Pinball! Check out the post on Pinside here! And check out the mod here from Hooked on Pinball!! I get socks for my birthday, she gets a pinball machine. Also, is TWIP really covering the Kardashian’s now? This website has hit rock bottom. This guy built his own pinball machine! And guess what is in it?? A faded…. Happy birthday Zach Meny and Jason Rufer! Lock is Lit Podcast: The Life and Death of Pinball 2000 – check it out! ColorDMD new release: Wheel of Fortune! Article: Is Pinball’s Future in the Past?